I’m a big fan of cooperative board games. I love the sense of camaraderie that comes with working together to defeat a hard challenge. 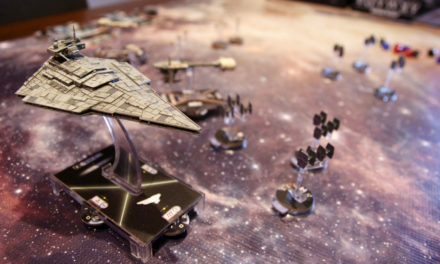 There are tons and tons of coop board games out there, but which ones are the best. For every hall of fame game, there is 5 more forgettable experiences. Well we’ve waded through the chaf and picked out the Ten Best Cooperative Board Games on the market today. So let’s dive into the list and see what greatness awaits. This one would have been higher up on the list if it hadn’t gotten bumped by an even better Pandemic game. However, Pandemic: Reign of Cthulhu is my favorite Pandemic game to play casually. A team of investigators must work together to seal 4 gates around the city of Arkham. Easy to learn rules and very fun game play. Based on the popular computer game, XCOM has players cooperating in real time to try and fight off an alien invasion. This isn’t a tactical minis game where you roll dice to attack single aliens. 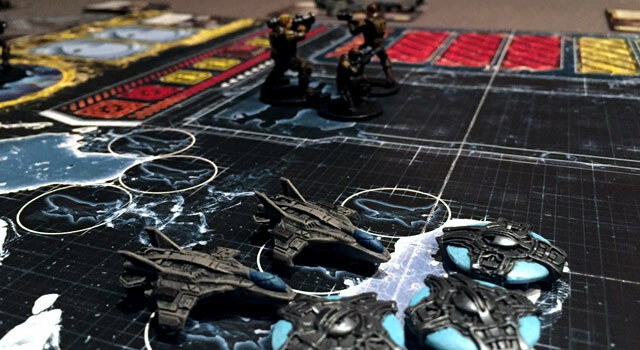 In XCOM: The Board Game players take a more high level approach to UFO defense as they run the operations of the XCOM World Defense organization. Stranded on a deserted island, players must figure out how to survive, starting out with little more than their whits. 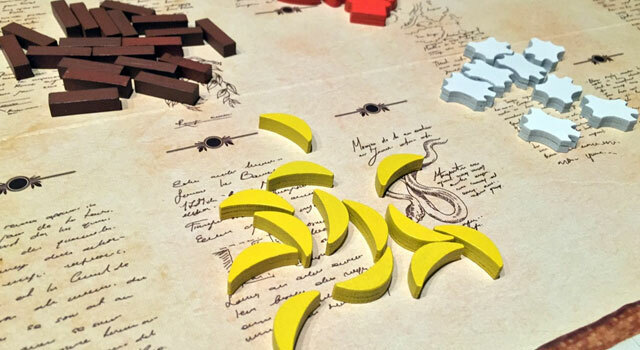 Exploration, construction, and even a little bit of resource gathering are keys to winning Robinson Crusoe. 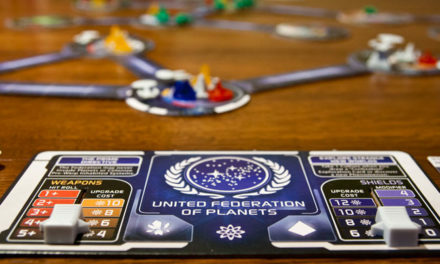 This new edition, just released by Portal Games, provides update components and a whole host of scenarios to play. There has been a murder and the players must figure out who the culprit is. 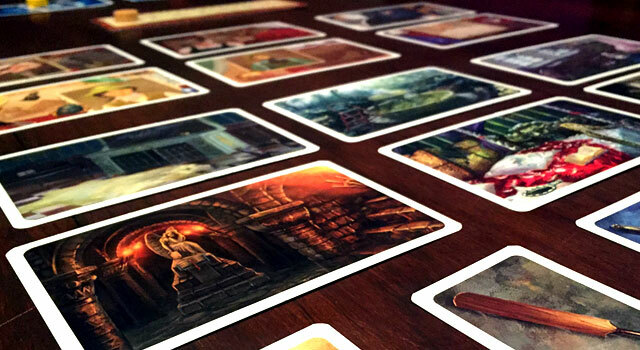 In Mysterium, one player takes on the role of the ghost who must communicate with the other players through the use of dream cards. Very easy to learn, yet challenging to win, Mysterium is a great gaming experience and highly unique. The zombie apocalypse is here and the players have boarded themselves up in a safe house. Now they must work together in order to survive the harsh winter. However, in Dead of Winter everyone also has their own secret motivations and you never know if there is actually a traitor in your midst. 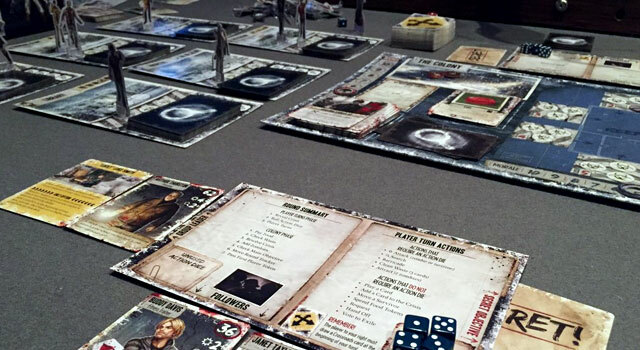 Dead of Winter also introduced us to the awesome “crossroads system” that helps add a nice thematic touch to the game play. There are quite a few Legendary Games to suit your taste in themes: Superhero, Supervillain, Firefly, Predator, Big Trouble in Little China and, of course, Aliens. However Alien Encounters is still one of my favorites. In this deck building game, players are working their way though the Alien Movies, trying to complete objectives and stay alive. Alien Encounters also has a bit of a traitor mechanic because if a player gets attacked by a facehugger, there is a chance they will turn into an Alien (just like in the movies)! Want to be a globe trotting adventure concentrating on stopping an ancient elder god from awaking? Then look no further than Eldritch Horror. 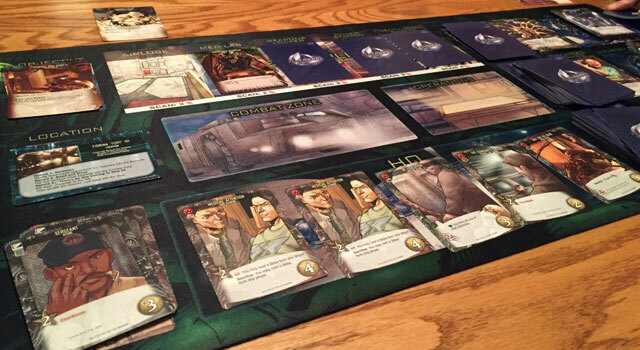 In this award winning sequel to Arkham Horror, players leave the friendly (not-so friendly?) confines of Arkham City and must stop the evil one from destroying the earth. With a number of expansions already released, Eldritch Horror has a ton of content to keep you playing for a long time. Don’t want to travel the world? 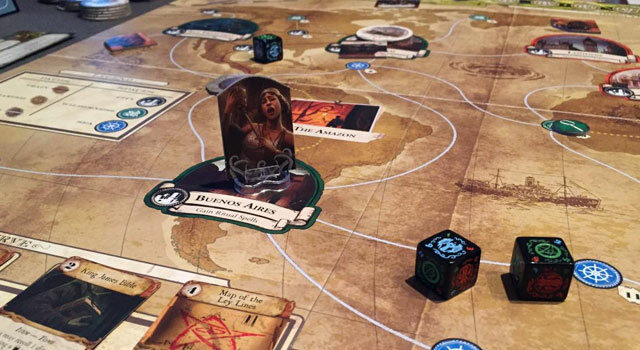 Mansions of Madness takes that Lovecraftian theme and shrinks it down to a single building. Mansions of Madness is a tactical minis game where players must explore an old mansions and stop the evil plans that are unfolding. 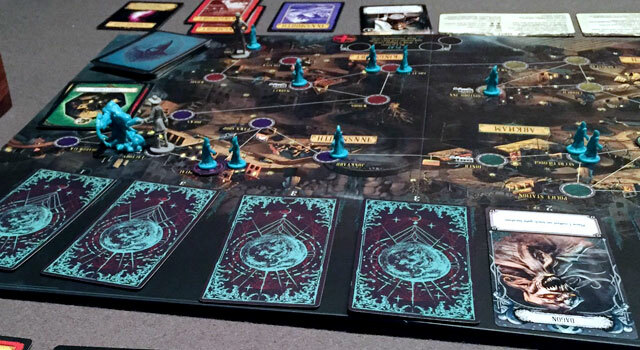 Mansions of Madness: Second Edition is a great upgrade to the first edition because the game is now fully cooperative. 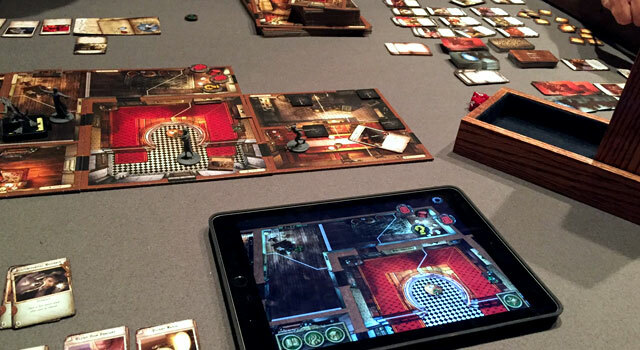 Mansions of Madness now uses an app to run all the bad guys and layout for mansion, so no one has to play the overlord. Time Stories isn’t a game you are going to beat in your first attempt…or probably even your second. 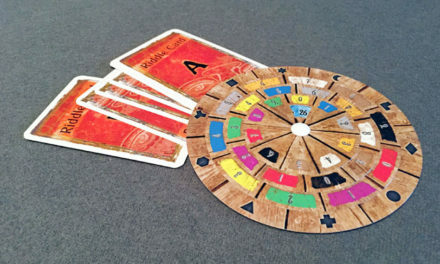 The game is played over a series of scenarios and uses a time travel/looping mechanic where you slowly discover what you need to do over multiple games (and failures). Incredible unique, Time Stories tells both a riveting story and really punches the time travel theme home. It’s not wonder Time Stories has won more than its fair share of board gaming awards. 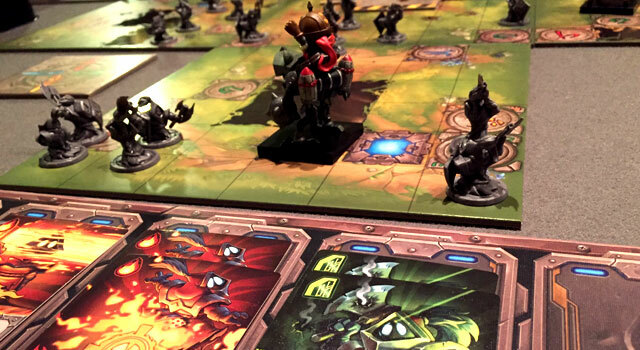 Mechs vs Minions is the first, and only, board game published by video game publisher Riot Games (League of Legends). Mechs vs Minions is an action programming game where players must work to complete a specific mission. 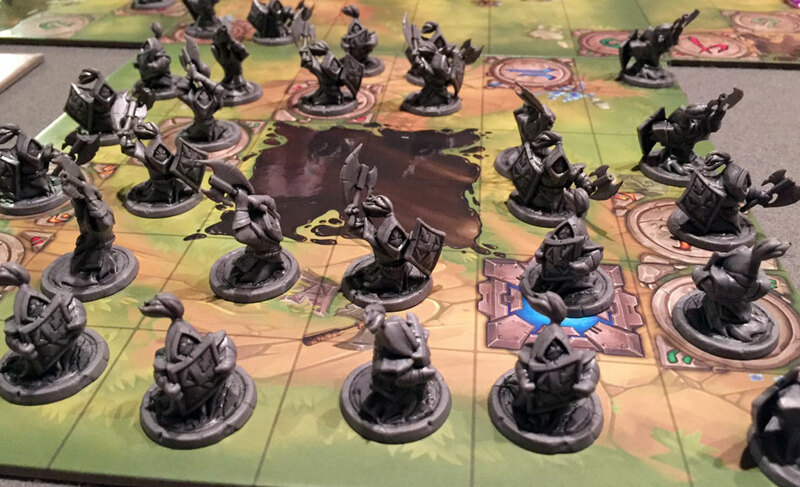 Mechs vs Minions has some truly outstanding production qualities, especially considering it’s reasonable price point. 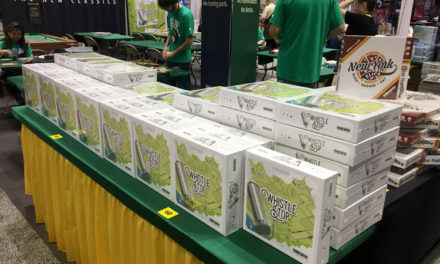 Tons of fun, this is a game where you will almost always want to play multiple games in a row. And here is our other Pandemic game. 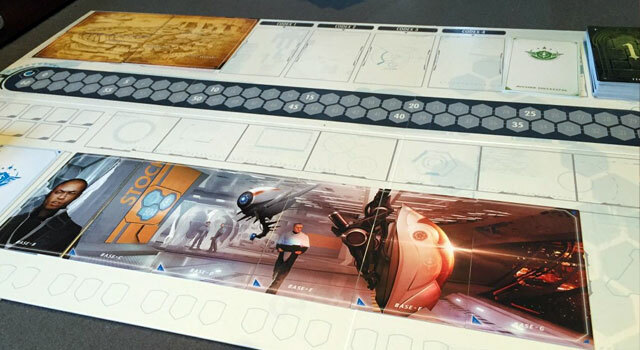 Pandemic: Legacy is a campaign style game where players are working to stop a contagion from destroying the earth. If you’ve never played a legacy style game before, they are very unique. You will be opening secret boxes, ripping up cards, putting stickers on your game board, and doing other destructive things. The gaming experience truly changes and morphs over your many sessions. 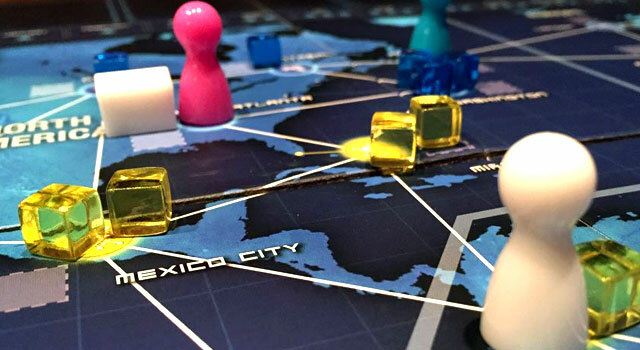 However, even though the game has an end, what Pandemic: Legacy does do is provide one of the most unique gaming experiences out there.